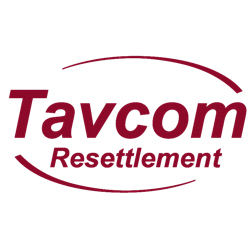 Tavcom’s Resettlement Programme is focused on facilitating the transition of ex-forces personnel into the security sector. Tavcom, part of the Linx International Group, is the world’s leading provider of accredited security systems training courses. Tavcom offers award winning BTEC certified training relevant to control room operators, installers and designers of CCTV, access control, intruder and fire alarms, Network IP and all other electronic security systems. Additionally, Tavcom’s sister companies, ARC Training and Perpetuity Training, specialise in the delivery of accredited security and risk management qualifications. ELCAS approved courses are available that meet the training requirements of security personnel at all levels, from foundation courses for those with little or no previous experience, to highly advanced specialist programmes. Tavcom’s workshops provide unrivalled ‘hands-on’ facilities which offer immediate opportunities to put theory into practice. A Tavcom tradition of practical learning that has refined the skills and knowledge of thousands of delegates over the past 21 years. The Tavcom Resettlement package builds on what is already available by tailoring and directing courses to those transitioning from the military. The core of the package is the provision of Tavcom BTEC accredited training, career progression advice and linking successful applicants to industry vacancies. Nationally, there are a large number of job vacancies within the electronic security industry, which continues to enjoy sustained growth. Installation companies that specialise in Access Control, CCTV and Intruder Alarm systems are currently looking to employ high calibre people who are keen to add to their existing skill sets. The industry appreciates that many of those leaving the forces have the core transferrable skills and attributes necessary for a post-military career within the security sector. The successful completion of a Tavcom course will provide the qualifications necessary to embark upon a career within the security systems industry.